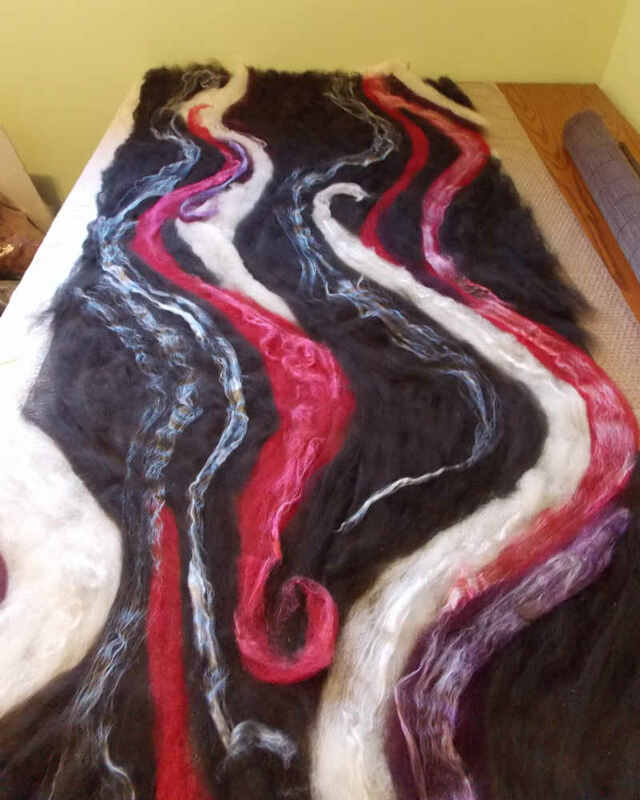 Custom Nuno Felted Shawl – Done! One of the really fun parts of my ‘job’ is the custom felting orders that roll in for Christmas. Here’s an alpaca shawl I finished yesterday. 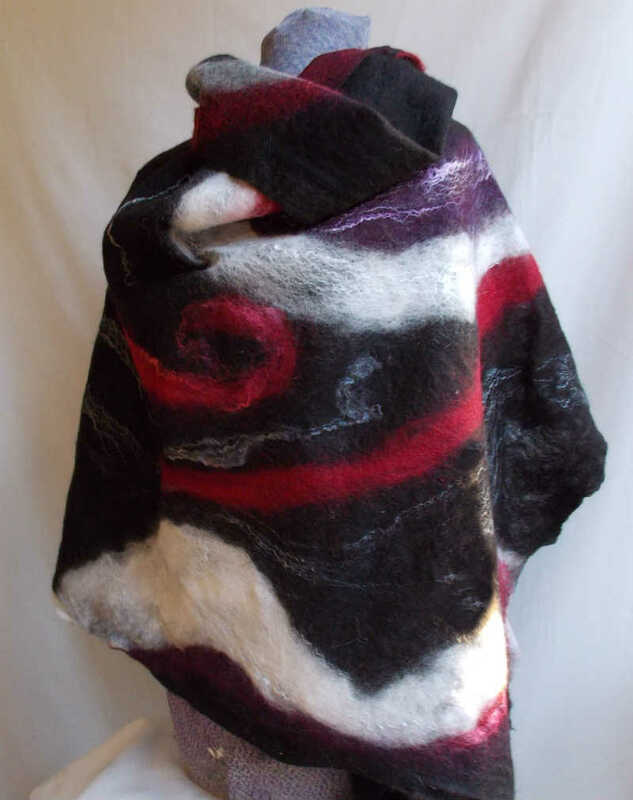 My customer asked for black with red and white alpaca with some mulberry silk felted in. 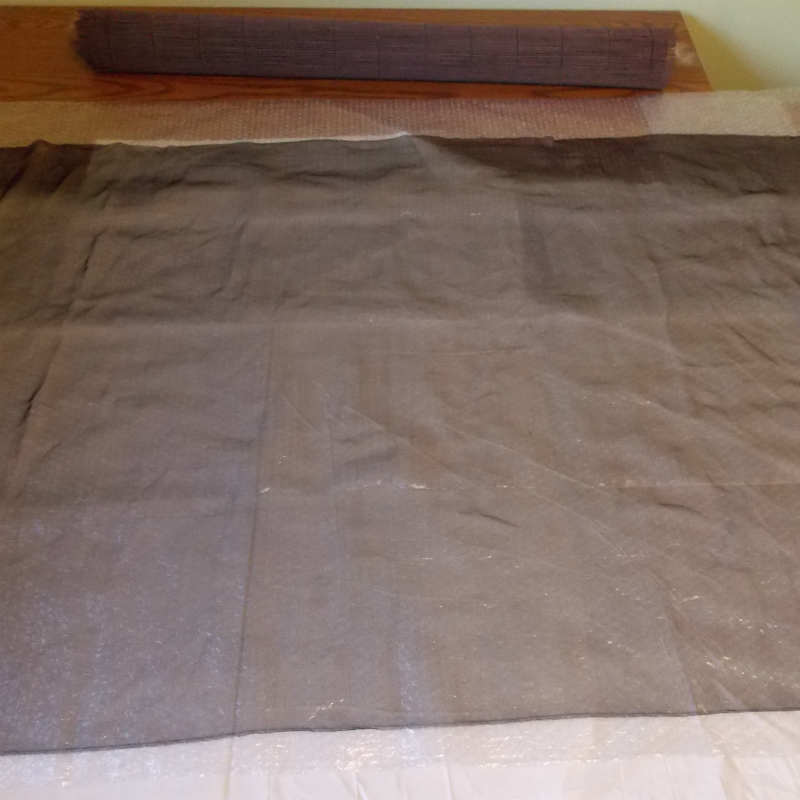 First, I cut the black silk chiffon (for the base) about 1 foot larger on both sides to account for shrinkage. 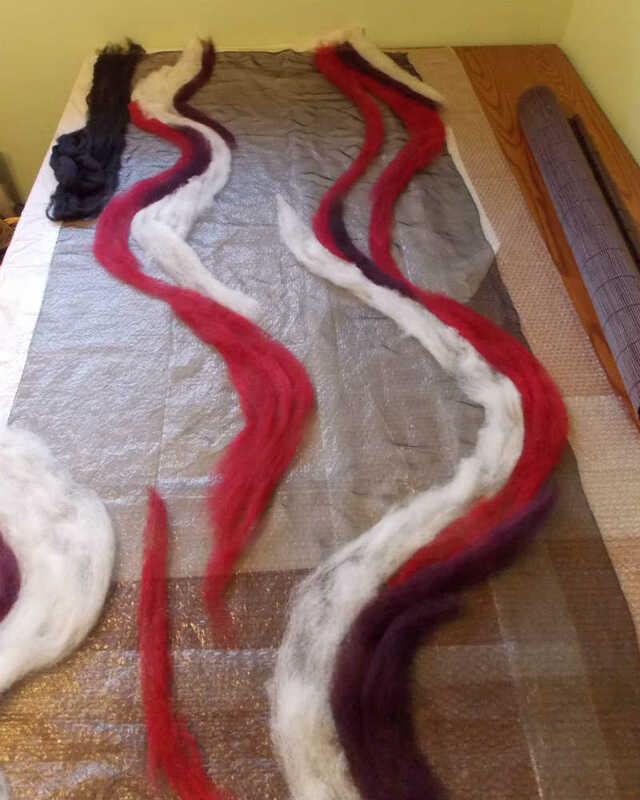 I laid out the white, red and some purple alpaca roving, then filled in the blanks with black fiber. 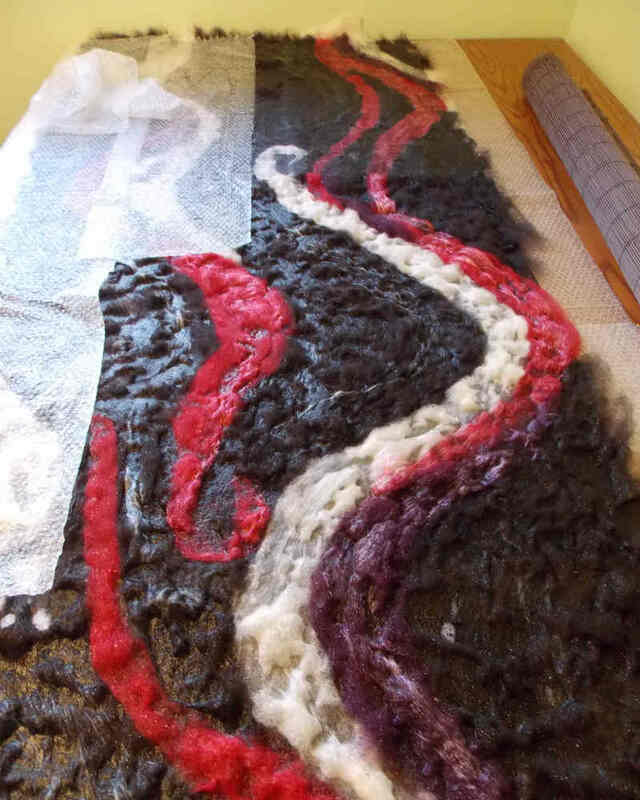 I wet the whole thing down thoroughly and with bubble wrap on top, started working the water into the fiber. At this point, I ran out of time so I stopped taking pictures lol. I wanted this shawl to be lightweight and not bulky so I decided to felt only one side of the silk chiffon. Since my bamboo blind is new, I was afraid it would snag the chiffon so instead of rolling the shawl to full it, I used the clothes dryer. I don’t usually like to do that as it doesn’t give me the control over the final felt, but in this case it worked out great. And now on to decorating my little Charlie Brown christmas tree. This looks like a vampire painted Starry Night. Love it! Gorgeous! I’m sure your customer is very happy.